There's never a shortage of new books about how to be more effective in business. Most of them are forgettable, but here are 25 that changed the way we think about management  from the iconic "How to Win Friends and Influence People" to groundbreaking tomes like "Guerilla Marketing" and quick reads like the "The One Minute Manager". Thanks for liking The 25 Most Influential Business Management Books. Like TIME on Facebook for more trusted news analysis, award-winning multimedia & behind-the-scenes looks with TIME editors. 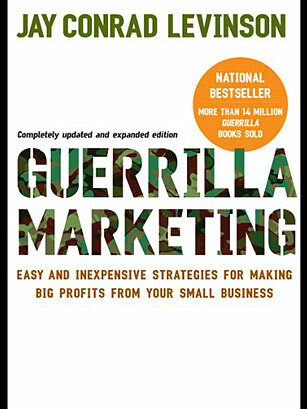 In the same way that guerilla warfare changed how people thought about war and conflict, Jay Conrad Levinson's concept of guerrilla marketing reshaped how small companies think about promoting themselves. Before Levinson coined the term in the 1980s, companies often relied upon huge, expensive marketing endeavors. Smaller companies struggled to compete on those terms, so Levinson argued for using brains over brawn. Don't hang a banner to advertise a sale; give away products on the street. Don't place expensive ads; pull a PR stunt for free publicity. Twenty-five years later, empires have been built using these ideas.